Sometimes referred to as "the AA acceptance prayer," the Serenity Prayer is usually recited at the beginning of almost all 12-step group meetings, and, at many meetings, at the end as well. 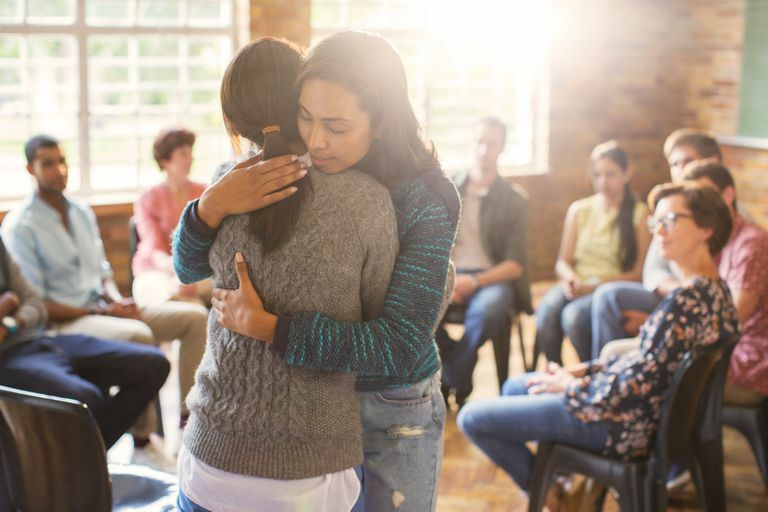 Examples of these 12-step groups include Alcoholics Anonymous (AA), Narcotics Anonymous (NA), Cocaine Anonymous (CA), Al-Anon/Alateen, and Marijuana Anonymous, among dozens of others. It has also become a part of mainstream culture, finding its way into movies, books, memes, and home decorations. For so many people in desperate situations—seeking peace, strength, and wisdom—these simple words, whispered to a God as they understand him, have seen them through their darkest hours. They have come to believe that the qualities expressed in the prayer can come only from a power greater than themselves. And because they believe, they find the serenity, courage, and wisdom they seek from somewhere outside themselves to face another situation, another step, and another day. Although millions of people both in and out of the recovery community have been helped and strengthened by the Serenity Prayer's simple lines, few are aware the first stanza was written by Dr. Reinhold Niebuhr. He was an American theologian, philosopher, and longtime dean and professor of Applied Christianity at Union Theological Seminary in New York City. There has been much controversy over when and by whom the Serenity Prayer was penned, but it looks like the debate is over. Though Reinhold Niebuhr is now undisputedly the author, it's unclear exactly when he wrote the most well-known and beloved prayer of the 20th century, but it seems to have been around 1933. Alcoholics Anonymous (AA) adopted the prayer in 1941 when an AA member saw it in The New York Tribune and asked the AA secretary at the time, Ruth Hock, to see if it could be printed in distributable cards. She wrote to an AA member who was a printer in Washington D.C., sent him the clipping, and asked him how much it would cost to print up some wallet-size copies. The printer liked the prayer so much ("I can’t recall any sentence that packs quite the wallop that that does," he said), he sent 500 cards to her for free, and the prayer became a permanent part of AA's history. Alcoholics Anonymous (AA). Frequently Asked Questions About AA History: What Are the Origins of the Serenity Prayer? Shapiro FR.​ Who Wrote The Serenity Prayer? The Chronicle of Higher Education. Published April 28, 2014.